Elevators and escalators are complex pieces of equipment that are prone to malfunction for many different reasons, most of which are related to normal equipment wear and tear, and not due to anyone's negligence. In the absence of negligence, there usually is no viable claim for personal injuries. Consequently, in elevator/escalator incidents that cause serious or catastrophic injuries, it is important for the injury victim to hire a lawyer who knows the causes of typical elevator/escalator malfunctions, knows where to look and how to gather the evidence needed to prove that an elevator/escalator malfunction was caused by negligence, and has the financial and time resources necessary to fight the large corporations and their large law firms kept on retainer to fight and fight and spend and spend until the elevator/escalator injury victim and his or her lawyer gets exhausted and gives up. The experienced lawyers at Kraft Davies, PLLC, have successfully litigated many elevator and escalator cases, including one elevator case that won the largest known elevator injury verdict obtained against an elevator owner in the United States. Contact us now for a no-obligation case evaluation. Every year 31 people die from elevator or escalator-related accidents. About 17,000 people in the U.S. alone are seriously injured in elevator or escalator-related accidents. Among those injuries/death due to construction-related elevator accidents, 56 percent were due to falling down shafts. In Washington state, owners/operators of elevators and escalators are "common carriers" with the duty to use the highest degree of care. They are not held to the common law premises liability standards that premises owners otherwise owe to trespassers, licensees and invitees. To establish that problems existed that required attention, or were not timely reported to the elevator maintenance company, an injury victim's lawyer needs to locate eyewitnesses who can testify that the elevator in question had been malfunctioning in the same way as it malfunctioned and injured plaintiff, and that the elevator owner/operator knew or should have known of the prior malfunctions, shut down the elevator, and called the elevator maintenance company. This is likely to require the injury victim's lawyer to canvas businesses or residents in the building. More often, the key to finding out what went wrong with the elevator, who was negligent and who had notice lies in the paper trial that exists in every elevator case. 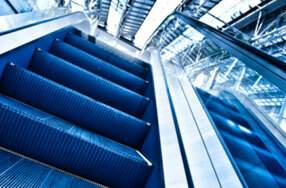 What Regulations Apply to Elevator or Escalator Accidents? Pursuant to RCW § 70.87.020 -.190, the Washington State Legislature has vested the responsibility and authority for elevator safety in the Department of Labor and Industries [DLI]. DLI has promulgated its rules, regulations and procedures for passenger elevators in WAC § 296.96 et seq. In a nutshell, it has not created its own rules and regulations, but periodically adopted national standards for elevators that have been promulgated in the American Standard Safety Code and, since 1972, passed by the American National Safety Institute. DLI grants permits for the installation and renovation of elevators, and performs initial inspections — and follow-up inspections — on an annual basis before giving the owner/operator a permit to use the elevator. In limited instances, DLI has tendered its authority to municipalities such as the city of Seattle, by and through the Department of Construction and Land Use. The municipal codes for local authorities adopt precisely the same national standards as DLI. If you have been injured in an elevator or escalator accident, contact the personal injury attorneys at Kraft Davies, PLLC, in Seattle, Washington, for a free no-obligation case evaluation. Contact us online or call 206.624.8844 to schedule an initial consultation.